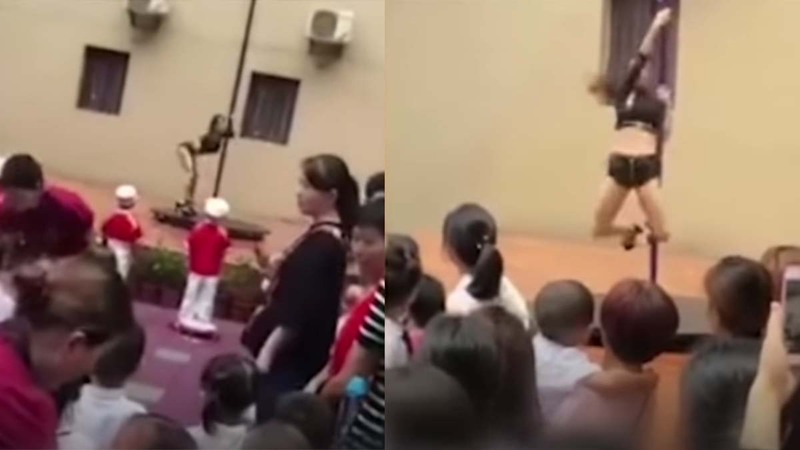 In what honestly seemed like a bit from a comedy movie, parents of Xinshahui kindergarten in Shenzhen, Guangdong Province, China were shocked as they were welcomed with a full-on pole dance number by the teachers of their kids to start off the school year. The kids in attendance were reported to be mostly below six years old. Ironically, the school even had a "military exercise" before breaking for the summer. Talk about a well-rounded education.